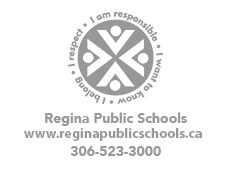 For this year's parent forum, Regina Public Schools will present an evening with Chief Evan Bray titled, "Community Wellness Equals Community Safety" on Tuesday, April 2, 2019 at 7:00 p.m. at Campus Regina Public. Everyone is welcome but seating is limited so please RSVP to info@rbe.sk.ca or call (306) 523-3000 by March 29th if you wish to attend. We look forward to welcoming all families and students into our school on Friday March 15th, 2019 for our Celebration of Learning and Conference Day! Information regarding this important day will be sent home via your child's teacher during the week of March 4-8, 2019. This will be for all students in KIndergarten "B" and Grades 1-8. This is a important time for students to highlight some of the learning they have been a part of throughout the school year, as well as a time for parents and teachers to touch base regarding each students academic, personal, and social growth. The annual Scholastic Book Fair will once again be visiting our school from Tuesday March 12 to Friday March 15. The Book Fair will be held in the Resource Center. Students are welcome to purchase books and merchandise at lunchtime recess and afternoons during that week. We look forward to all families visiting the Book Fair during our Celebration of Learning and Conference Day which will be held on Friday March 15th, 2019. See you there! !